There are two basic ways to breath. Chest breathing and abdominal breathing. Chest breathing is good for energizing the body and also good for physical activity. Expanding the chest while breathing, happens naturally when you’re exerting your self, because your body simply needs more oxygen. Abdominal breathing is just the opposite. It’s good for smaller volumes of air when relaxing and turning the focus back towards your body and your inner being. As babies we breath this way naturally. But as our attention gets pulled out more and more into this magnificent and infinitely mysterious world, we gradually leave this way of breathing behind. 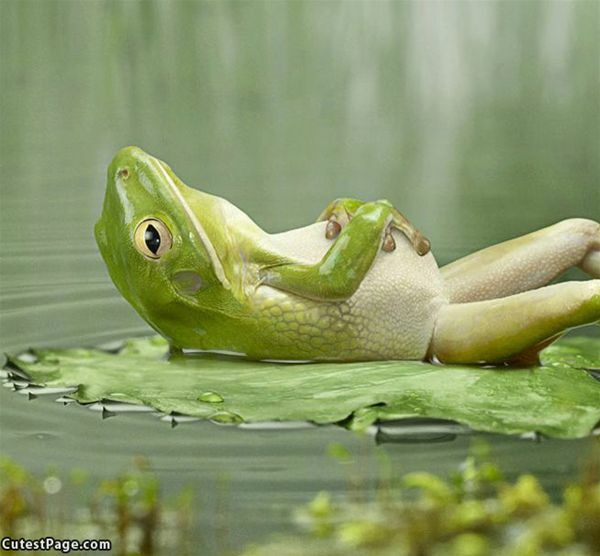 Unlike chest breathing most people don’t naturally revert to abdominal breathing when it’s time to relax. It requires a conscious effort to tune back in and use this way of breathing to settle down again. Tension can build up. For this reason many people turn to drugs, alcohol and other false means to relax. When followed, the breath can be used to deeply relax the entire body/mind/and spirit. Drugs don’t get you there. Realizing this can become a personal transformation in itself. Our culture is so encouraging to keep us focussed outside of ourselves, to keep us engaged and looking for answers out there somewhere. It’s good for the economy. Obviously focussing outside is important and beneficial. But often this outer focus of attention can become a chronically out-of-balance state. It produces stress and many people never give themselves a break from it for their entire lives. For those who want to have an enjoyable life day-to-day, focussing attention for a short while each day upon breathing and consciously and intentionally being present to the body and spirit is essential. Abdominal breathing is potentially your gateway to a silent personal revolution that will impact every facet of your life. You can turn all the out-going activity of the day around 180 degrees through the breath in minutes. Getting good at this can be one of the most valuable skills you can possibly learn. In stillness all that you put out can have a chance to return to you and nourish your body and spirit. You’ll notice that projects you may be working on sometimes magically complete themselves by you getting comfortable with doing nothing. Set aside a short period of time, say 3 minutes (or maybe 5 if you’re a chronic over achiever) to just be and witness your breathing. Don’t try to control it at all. Just watch and become aware of how you breath naturally. You can stay at this stage for 2 days or more in order to become familiar with your breath in a friendly way. Then consciously one day when you feel ready, use these same three minutes to start breathing into your abdomen. This will likely feel good. If it does and there is time available, keep going a little longer. Your practice time has just naturally increased. Next day practice for this length of time again and begin to allow the breathing to drop deeper into the pelvic bowl all the way to the perineum. So the perineum expands down with each inhale and contracts back up as you exhale. Gradually increase your practice time up to 24 minutes. If it feels good to do so and fits into your schedule, increase the length of your practice time to as much as one hour. There is no need to consider increasing it more than 24 minutes to one hour. You do not want to become fanatic. The focus is simply your health and sense of balance. Practicing twice a day is ok. The best times to practice are sunrise and sunset, referred to as Sandhya in Sanskrit. There are many aspects and benefits to abdominal breathing. In China and India the science of health is considered primarily from the point of view of having an abundance of life energy. In the west we don’t really have a way of describing health yet, let alone a science of health. At the most we fight against illness and have a model of fitness. But as a whole we don’t actually understand health yet. And fitness often has very little to do with actually being healthy because all our exercises are out-going. That’s a serious imbalance. The eastern model of health is well-developed although breaking down in the east too due to western influence. Their ancient model corresponds with their deep exploration and understanding of breathing. Making use of the knowledge and wisdom they have gained over thousands of years of exploration seems to me like an excellent idea. When you are consciously breathing into your abdomen you use the abdominal muscles to expand the abdomen while inhaling and contract those muscles when exhaling. It simultaneously tones and relaxes your abdominal muscles and helps your awareness to penetrate to your belly and into the bowl of your pelvis as well. Your attention is an intrinsic part of relaxation. Additionally you are massaging your internal organs with the breath, squeezing the blood from them and helping them to bring new blood in so their functioning is supported and enhanced. This sends a positive ripple effect throughout the entire body bringing fresh life energy to circulate through each organ and accompanying energy meridian. In turn these energy channels feed into millions of smaller tributary channels from the core of your body to the skin. The entire organism is renewed and nourished as it is filled with fresh life energy. Also wastes are helped to move out of the cells and exit the body by various means leaving more space for life energy to flow. This is just a beginning. The movement of the abdomen also draws latent energy down from the kidneys making it available for use immediately. The kidneys are the foundational energy for the entire body and all the other organ systems. If you are attentive to the pelvic bowl, while breathing the expansion and contraction of the abdomen goes all the way to the perineum. If you tune in deeply, you’ll be able to feel a subtle movement of the sacrum back and forth as you breath. It tilts on the axis of the SI joints, the bottom going back with the inhale and coming forward slightly with the exhale. The sacrum acts as a pump for the cerebrospinal fluid that surrounds the spinal column as well as the entire brain. CSF is essentially the same as amniotic fluid which cultivated and supported your growth as an embryo to a fully developed human being. It’s a clear crystalline fluid responsible for your life. It’s a little known fact that just like the heart and circulation of blood, without the constant circulation of the CSF, life is not possible. The movement of the fluid brings life giving nourishment to the entire nervous and endocrine systems. It feeds the glands from the bottom up. If you have one in the chain that is deficient, it will continue to provide nourishment to that one until it is overflowing and then continue up through the sequence of endocrine glands all the way up to the pituitary and the pineal glands. It may occur to you that this exploration of breathing is also called meditation. Meditation is considered by most people who try it to be extremely difficult and most give up. It can be painful to just feel over and over again how the mind continues churning thoughts whether you’re sitting still or not. I prefer to think about this practice as an internal exercise rather than being a spiritual practice. It’s an essential inward bound exercise to establish health and well-being. It should be a sensual experience. It’s a way to tune in and feel the ongoing support that existence is showering on you every moment. Gratitude may be all you end up with in the end. Is that not a worthy intention and a good foundation for day to day life?